This tour is a combination plantation tour of Oak Alley Plantation and Laura Plantation. Pickup will between 10:30am and 11am return to your hotel around 6pm. Hotel pick up and transportation from downtown New Orleans is included with this tour. 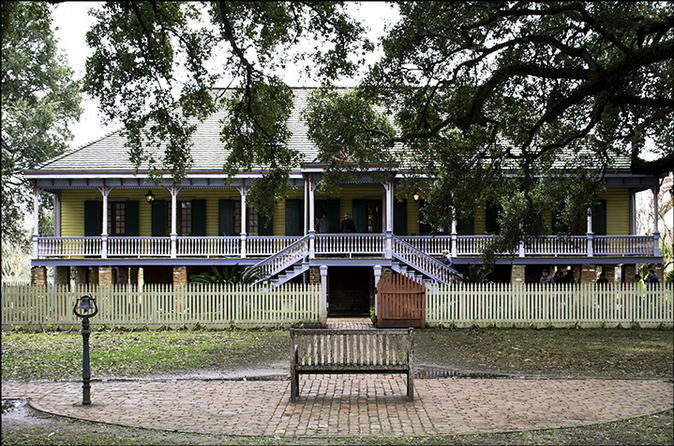 This tour combines both the Oak Alley and Laura Plantation tours in one day. Pick up time is 10:30am and your group should arrive about 12:15pm at Oak Alley Plantation, where you will have an hour of free time to get lunch (own expense) and walk the beautiful grounds. The Oak Alley house tour starts at 1:30pm and ends at 2:15pm. From there you will take a short 10 minute drive to Laura Plantation, where the tour begins at 2:40pm. You will return to New Orleans around 6pm.